Robot number four has been approved to offer digital financial advice in NZ. The Auckland-based National Capital, owned by authorised financial adviser (AFA) Clive Fernandes earned the right to offer robo-advice services via an exemption issued at the end of January. National Capital joins Kiwi Wealth, Nikko Asset Management and Cigna Life as ‘digital advice providers’ under the Financial Markets Authority (FMA) exemption umbrella unfurled early in 2018. Formed last year to specialise in KiwiSaver advice, National Capital outsources certain duties to adviser compliance firm Strategi and Auckland law firm Rennie Cox. David Greenslade, Strategi founder, also advises National Captial, the firm’s website says. Fernandes, who has a background in IT and web development, moved to NZ from his native India in 2010. 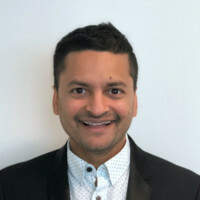 Prior to launching National Capital he spent one year in an adviser support role with the NZ arm of Australian financial services firm, Findex. Findex, which entered into an enforceable undertaking with the Australian regulator in 2017, mainly has exposure in NZ via the Crowe Howarth accountancy network it purchased in 2015. On his LinkedIn page, Fernandes says the National Capital robo-advice system would help clients find “which KiwiSaver fund works best for them to achieve their goals, based on their situation”. “With the focus on an ‘accountable algorithm’ and good client outcomes, this service will not only help Kiwis get the advice they need but do that in an ethical manner,” the posting says. The firm’s website says the group initially wanted to provide a whole-of-market service, but “as we progressed on the business model” settled for a smaller group of providers, most of which will pay a commission to National Capital. After a round of negotiations with many retail KiwiSaver schemes, National Capital struck “agency agreements” with several providers including: Aon; ANZ; Fisher Funds; Generate; and, Booster. Despite rushing in the exemption last year, the three FMA robo-advice licences issued to date have seen little active service: Kiwi Wealth rolled out an early version to some of its KiwiSaver clients; while Nikko and Cigna Life are still wiring up their robots. The FMA exemption bypasses a requirement in existing legislation requiring financial advice to be delivered by ‘natural persons’. However, robo-advice will be formally plugged into the mainstream once the Financial Services Legislation Amendment Bill (FSLAB) passes into law. FSLAB is close to the end of its political journey after passing a second reading last September. The proposed legislation, set to restructure the financial advice industry, should pass through the final house committee and third-reading phases within weeks: the bill has moved up five spots to 15th on the parliamentary order paper when the Beehive opens for business on February 12.